Established in 2001 in Shenzhen, Absen is a world leading manufacturer of high quality LED solutions and the largest LED exporter in China. Combining traditional values with a global approach and state of the art LED display and screen technology, Absen is represented in over 120 countries and has been involved in over 30,000 projects worldwide. Absen opened its European HQ near Frankfurt in 2013. Audiologic is a highly respected audio solutions provider with exclusive UK distribution for some of the world’s leading manufacturers. We add value to our client relationships with expert system design across diverse markets, taking time to carefully consult and communicate with customers in order to deliver the solution that best suits their exact needs. AVI-SPL is a digital workplace services provider that works with organisations globally to improve team collaboration and unlock new business value. The largest provider of collaboration technology solutions, including its award-winning managed services, AVI-SPL’s highly-trained team works hand-in-hand with organisations worldwide to strategise, design, deploy, manage and support AV and UC solutions that are simple-to-use, scalable, serviceable, and measurable to ensure business objectives are achieved. At AVMI, we help our clients achieve their workplace transformation and corporate communication goals by designing, delivering and maintaining world-class audio visual and digital media solutions – locally and globally. With over 450 staff, AVMI has industry-leading credentials and is headquartered in London, with additional offices in the UK, USA and Hong Kong. BenQ is a world-leading human technology and solutions provider driven by the corporate vision of ‘Bringing Enjoyment ‘N’ Quality to Life’ to elevate and enrich the aspects of life that matter most to people today- lifestyle, business, healthcare and education. Set apart by the unique philosophy of ‘Because it matters’, BenQ is committed to empower people today to live better, increase efficiency, feel healthier and enhance learning through people-driven, innovation-fuelled product, services and solutions. Because it matters, BenQ will continue to utilise substantial resources and proven expertise in product design, visual display, mobile solutions and network convergence technologies with the hope to delight the world, offering a broad range of products, services and solutions: digital projectors, professional monitors, interactive large-format displays, imaging solutions, mobile computing devices, and LED lighting solutions. Blackmagic Design’s Ultra HD 4K workflows for AV installations and live events deliver incredibly smooth, realistic video content across acquisition, production, monitoring and distribution. Its broadcast grade video equipment, including digital film cameras, switchers, disk recorders, video converters and routers offer high quality production values for live event technicians and system integrators specializing in AV and live production markets. Casio, a pioneer of Laser & LED projection, is the only manufacturer to have dedicated its entire range to lamp-free technology since 2010. Now a market leader for its sustainable, low-maintenance and budget friendly projectors, including the award winning Core Series, Casio is now breaking into new markets with its high brightness, 4K Ultra HD Large Venue lamp-free projector. CDEC is an award-winning AV integrator that operates across a number of verticals, from education and corporate to medical and retail. CDEC prides itself on working closely with clients to always deliver excellence and the entire team is committed to offering superior customer service, detailed technical knowledge and life-long after care on all projects. With over 15 years of experience in the led display industry, Shenzhen Eastar Electronic Co., Ltd(Esdlumen LED Display) is one of the largest manufacture of led displays and led screens in China and is engaged in the design, production, wholesale and retail distribution of products for the led display market. Hitachi’s Digital Media Group prides itself on providing sustainable, market leading AV solutions for the needs of educational and corporate environments. With rapid advances in Hitachi engineered technology, which includes our 3500-8000 lumen LED/ Laser projectors and 4K Interactive Flat Panels the group expect to grow its already advanced product line throughout 2017. Midwich is the UK's leading trade-only, multi-award winning distributor of technology solutions. Their industry expertise allows them to develop sound commercial propositions for vendors and profitable opportunities for reseller partners. For over 35 years, Midwich have built a proud reputation on the expertise of their staff. Today, they deliver value added solutions designed around the needs of businesses; helping to provide outstanding service to end-users. NovaStar designs and develops LED display control solutions for a variety of market applications including entertainment, digital signage and rental. With 44 branches serving more than 10,000 corporate and retail clients worldwide, NovaStar continues to focus on and improve innovation, manufacturing and support capability in the LED industry. Tripleplay is the market leading single platform IPTV, digital signage and video streaming platform combining professional grade IPTV Headend and Digital Signage CMS; creating a unified solution for delivering professional digital media content. Unilumin is a professional corporation of LED products and solutions, especially NPP(narrow pixel pitch) LED products. Established in 2004 and got listed in 2011, Unilumin now has expanded business to more than 160 countries. Moreover, Unilumin possesses the pioneering 3D LED TV by naked-eye, super pixel pitch 0.8mm LED screen. Visavvi sets the standard for modern business collaboration with integrated solutions designed to deliver success. We have the resources and the experience to deliver critical business messaging in a way that informs, educates, inspires and engages in a world where true communication empowers people and organisations. As part of the Saville Group we benefit from having more heritage than anyone else in the industry. Our appetite for constant progression supports our comprehensive approach to audio visual, communication and collaboration to deliver beyond expectations. 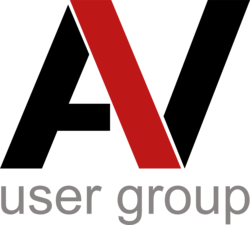 The AV User Group is a forum for those responsible for their organisations AV communications and collaborative technologies We help promote the effective use of AV communication technology within end user organisations, and assist managers maintain the skills and knowledge they need to implement AV projects and manage service provision. Bees Buzz PR work exclusively in the Pro AV space, largely behind the scenes with some of the industry's leading brands. Using effective traditional media alongside the latest digital communication tools, they aim to provide maximum, quality brand exposure, with introductions and relationships that make a real difference. 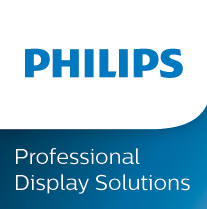 We specialise in AV and DOOH recruitment solutions. Our approach is proactive and partnership-based so whether you’re looking to achieve your career goals and aspirations as a candidate, or you are seeking the very best new staff as a client, we work with you to find the best match to your needs and always aim to exceed your expectations. 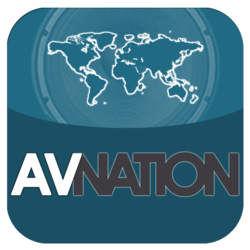 AVNation is a network of industry professionals who are passionately engaged in furthering the AV industry through education and knowledge. One of the premiere functions of AVNation is to see industry professionals provide first-hand knowledge to other professionals across North America and the world through our audio and video podcasts. AVNation is a network by AV pros for AV pros.